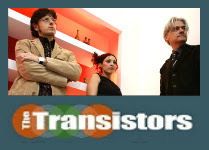 The Transistors On Easitaly #100 @LuxuriaMusic! The Transistors with "Spiral Waltz". Don't Miss it! This video is an un-official Transistors video! This track is only for DEVO fans. "Not Necessarily Beautiful But Mutated Vol VII CD"
Strictly Limited to 250 hand numbered copies. 19 tracks - over 77 minutes of DEVOlved audio from 17 artists! Available for $15.00 USD post paid in the U.S. or $17.00 USD post paid to rest of the world. "Not Necessarily Beautiful But Mutated" is the annual compilation by Rev. Toth Wilder (The Church of SubGenius), from Akron headquarter of DEVO fans! Video premiere: a short trailer of "The Italian Moog" the upcoming Moog Movie directed by Ernesto Romano (re_production). Thanks to Ernesto Romano and Pierpaolo Caputo for choosing our track "Switched on BOB" for this trailer! "Switched on BOB" was composed by ErMan, Luke and Margoo. 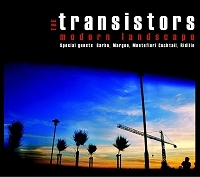 You can find our track on The Transistors album "Modern Landscape" or on "Switched on Bob - The Tribute to Bob Moog"
MODERN LANDSCAPE in stores now! 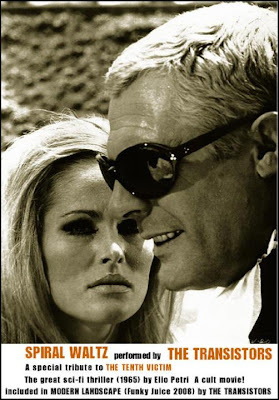 >> Click here for reading MODERN LANDSCAPE reviews!